Articles for career practitioners to support their practice and business growth. Articles on working with career practitioners. Articles for people who give talks at meetings, seminars, trade fairs, conferences etc about their career. Articles for people applying for jobs in the public sector. Covers applications, resumes, letters, referees. 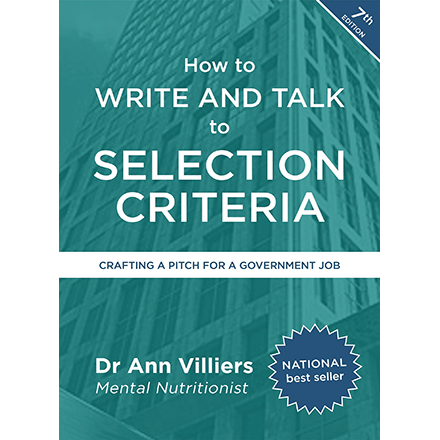 Articles for applicants facing public sector interviews. Articles to help managers and selection panels with attracting, recruiting, selecting, engaging and retaining staff. Articles for applicants wishing to actively manage their careers, and articles for managers to assist staff manage careers. Articles for graduates applying for public sector jobs. Articles that explain what skills and capabilities mean, including articles for specific levels in the public sector. Articles related to Gorgeous Daring Dames, a confidence-building book for women. Articles on what sensemaking is all about. Articles on refining skills based on mind and language practices. You use the articles unchanged so that you acknowledge their source. You advise via Contact Us that you have downloaded the article and when and where you intend using it, with a web link where possible. You may wish to include a link to this website. Link to Us gives you the details on how to do this. Thank you for your co-operation and we wish you nourishing reading!